The cloistered grounds of the convent have traditionally represented a place of faith and peace. Now, that peace is shattered as two nuns are found, one dead, one mortally wounded. The killings appear to be without motive, without an obvious suspect, and are further complicated by the murder and mutilation of a third woman. 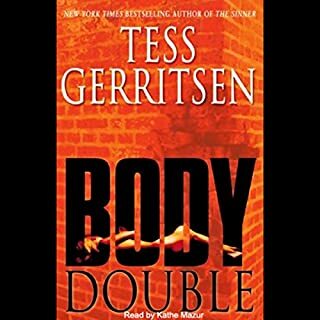 Together, medical examiner Maura Isles and intense, moody homicide detective Jane Rizzoli (both introduced in earlier Tess Gerritsen novels) uncover an ancient horror that connects these terrible slaughters. 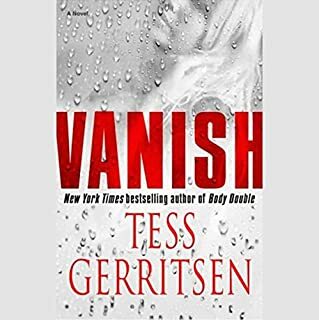 As long-buried secrets come to light, Isles finds herself drawn inexorably towards the heart of an investigation that strikes closer to home, and towards a dawning revelation about the killer's identity too shattering to consider. 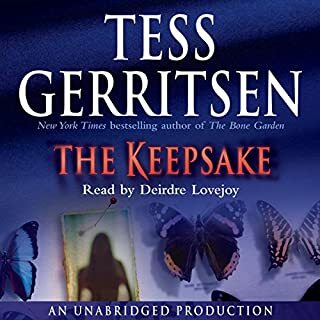 ©2003 Tess Gerritsen (P)2003 Books on Tape, Inc. I love murder mysteries and this one was top notch. Everything about this book held my interest and I could hardly stop listening to it. Worth the read. The who-dunnit tension was nicely maintained throughout. 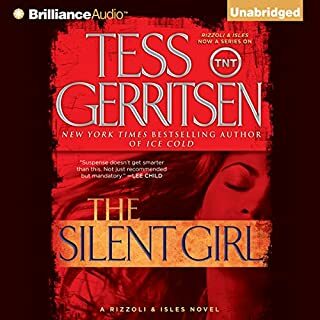 This is truly one of Gerritsen's best, and certainly the best of her Rizzoli series that I have read. The narrator, Anna Fields was also ideal for this book. Her intonation and pace were always just right for any given scene. I could see the whole book in my mind's eye, thanks to Ms. Fields. Another good one for Tess. I enjoyed all the twists and turns of the plot. She holds Rizzoli to character. No matter what is going on in her personal life she still finds time to get a jab in at even the most innocent seeming villian. No one goes unpunished in some way with her and that's satisfying. Some of her points make you want to say "you go girl". This is a great book and you can't go wrong with it. 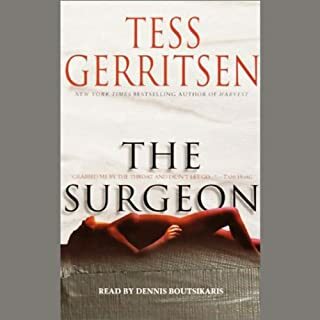 The humorous passages are hilarious, Dr. Gerritsen's imagination covers even more ground in this novel, and you won't guess the resolution as all the parts come together thoughtfully. I only regret that I did not "read" this novel in order of publication. Where does The Sinner rank among all the audiobooks you’ve listened to so far? What other book might you compare The Sinner to and why? The in Death series by J. D. Robb. Because they and both strong female cops. Also the story line never ends. I wish she stayed away from attempts at deep psychology and relationship analyses, but as a thriller it's still among the best. Perhaps not as good as the first one in the series, still enough to keep me hooked. I've really liked all the readers to the other books, but this reader doesn't get Maura's voice right and she can't even pronounce Rizzoli correctly. Love this series but didn't love Anna Fields' narration. Her pronunciation of 'Rizzoli' drove me nuts. She does a great job on the Susan Elizabeth Phillips novels but I don't think this is her genre. Otherwise, great story. Do not like the reader Anna Fields. Would you listen to The Sinner again? Why? Prob not. Don't care for redos. Don't find the voice of Anna fields easy to listen to. What three words best describe Anna Fields’s performance? I hate that Rizzoli is pronounced ritzoli.